Easy to install, use and connect, Plugable laptop docking station can save you plenty of usable space on a table owing to its upright design. Some wireless devices might not work when plugged in USB 3.0 ports. A universal notebook docking station for all users who prefer using Windows-based devices. Kensington SD3600 universal docking station can be mounted on the rear of an external monitor with a special VESA mounting plate. External devices cannot be charged via USB ports. This well-designed docking station doesn't take up much space on a desktop. 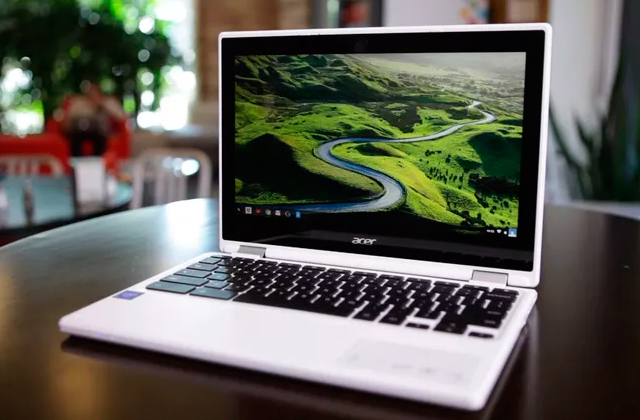 Connecting your laptop to dual HD monitors allows you to watch high-quality videos at 1080p. The wedge-shaped design of the docking station allows tucking it under your laptop for extra desk space. The laptop can slide off when the dock is used as a stand. 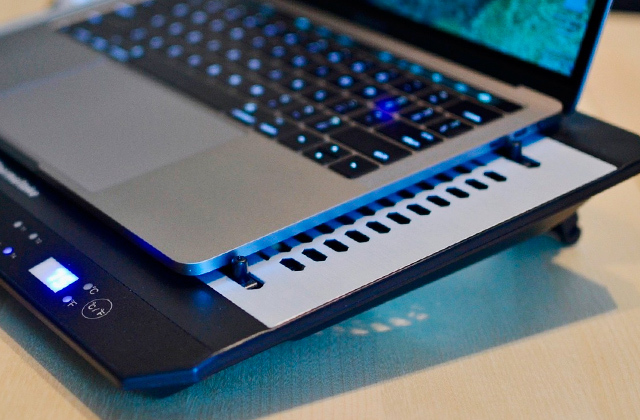 A budget-friendy yet functional docking station with a cooling option that prevents your laptop from overheating too. Since Anker Dual laptop docking station supports both HDMI and DVI, it can be connected to three monitors simultaneously. To use it with Mac OS, you'd need to install additional drivers. This is an extremely elegant-looking docking station for all laptops. Automatic bandwidth prioritization of the connected devices provides for smooth, stable work, even if each port is used. A stylish universal design allows placing this station in any position for your comfortable use. 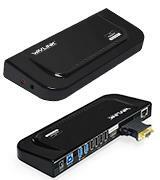 Supports high-definition videos and great Ethernet speed. VESA mounting plate is not included. 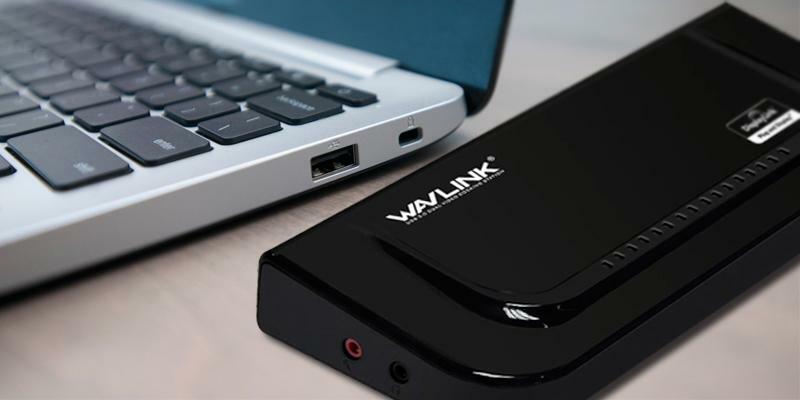 Wavlink Universal Dual Display docking station is fully fit for its purpose. This space-saving dock is suitable for home and office environment. 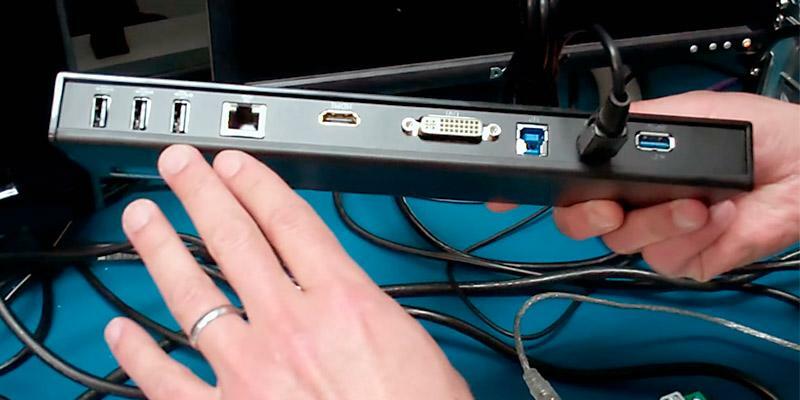 The possibilities of image transfer this universal laptop docking station is able to provide include two digital ports, the HDMI port, and the DVI port. There are also six USB ports: 2x USB 3.0, and 4x USB 2.0 ports. If you want to connect your headphones and/or a headset, you will find two standard jack 3.5 ports here. And a high-speed Internet connection cord can be plugged into an Ethernet port. 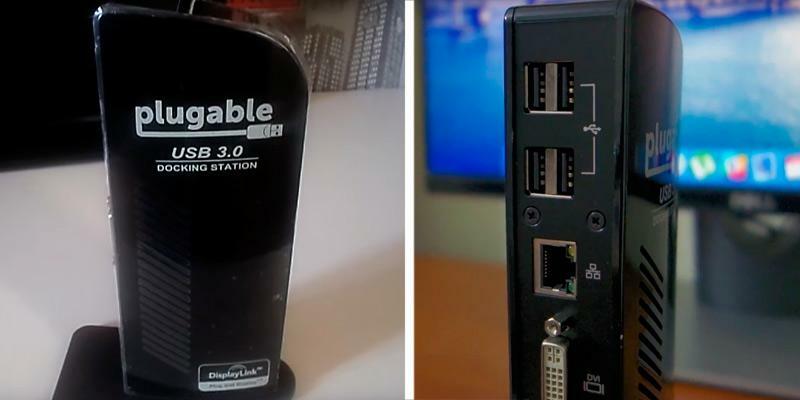 This Plugable Technologies UD-3900 laptop docking station with USB works perfectly well with all latest Windows editions, with the only exception for Windows RT. Among the devices compatible with this notebook docking station you will find laptops, Ultrabooks, and tablets based on the Intel processors and Windows operating system. This docking station for laptops is connected via the USB cable that comes with the purchase. 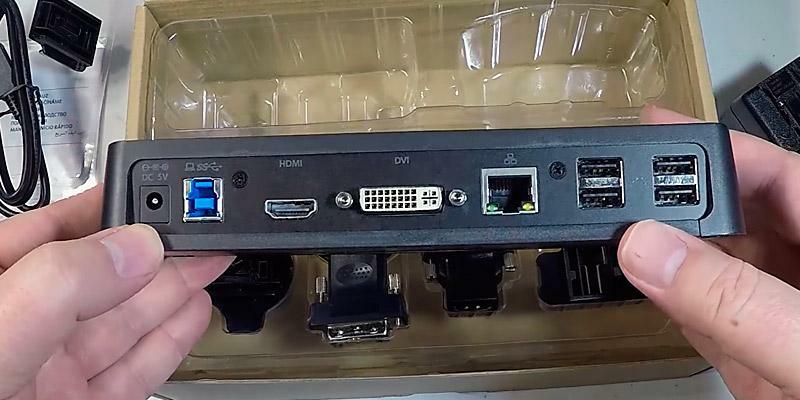 If you plan to connect only one monitor (with HDMI port) to this laptop docking station for dual monitors, then the device will be able to display image in an HD resolution of 2560x1440 pixels. However, for the dual-monitor system (DVI + HDMI) it will be 1920x1080 pixels each (which is still an HD and a pretty good resolution). 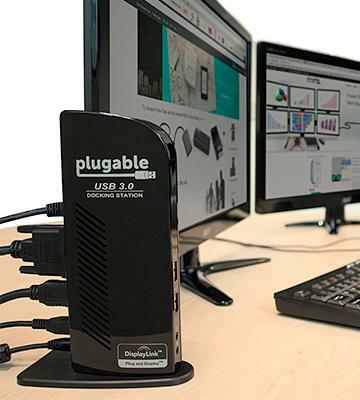 Also, at the front part of this notebook docking station from Plugable Technologies, you can find a special port for fast charging of your mobile devices. Looking at the Kensington laptop docking station the first thing you will like about it is its compact size and multiple connectivity options. However, when you look at it a bit closer, you'll see one more feature that distinguishes it from many other models - an option to mount it on the rear of a monitor with a special VESA mounting plate. So if you'd like to save some usable space on your desktop, make sure to purchase it separately since it's not included in the base package. The arrangement of USB ports is also rather convenient; all video ports are located on the rear while audio ports are on the front. This provides users with open access to most frequently used ports in a much more convenient way. What else about the Kensington laptop docking station that shouldn't go amiss is a high-powered USB port for ultra-fast data transfer to external sources. 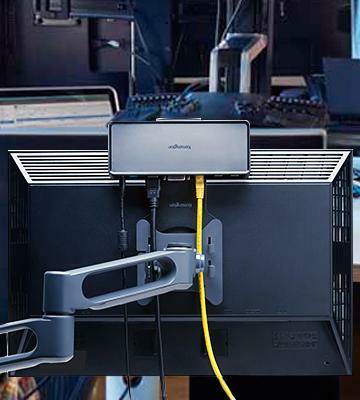 The docking station features two ports for connecting dual HD monitors and expanding your laptop display capabilities. The HDMI cable supports most standard PC monitor formats. The DVI adapter, in its turn, can be used for connecting to the docking station. Also, you can use one of the adapters (DVI-I to HDMI and DVI-I to VGA) for extending functionality of peripheral devices. Besides, you can use a multi-monitor setup, changing from extended mode to mirror mode. The extended mode allows displaying the apps that you drag from your main monitor, while the mirror mode displays a duplicate image on two monitors simultaneously. Consider buying a monitor mount to fix your PC monitor or docking station in a convenient position. 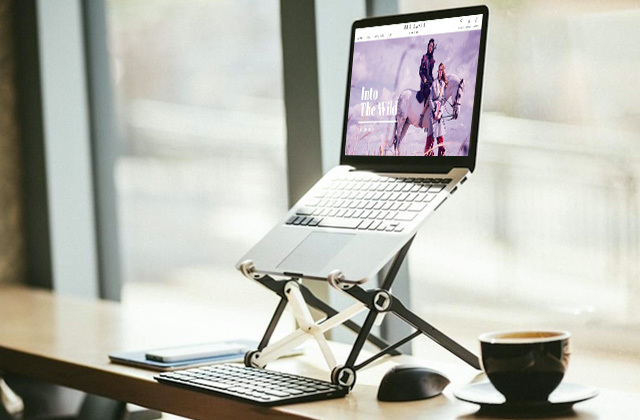 Owing to the wedge-shaped design and rear location of all main ports, it is easy to use the Targus Super Speed docking station as a laptop stand too. 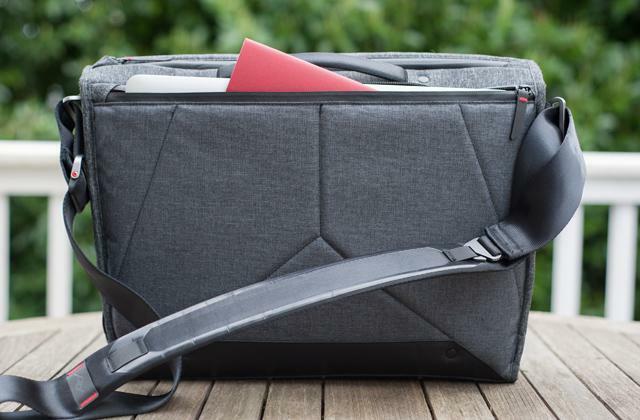 Said design is also great for maintaining optimal ventilation, preventing your laptop from overheating during long-hours use. 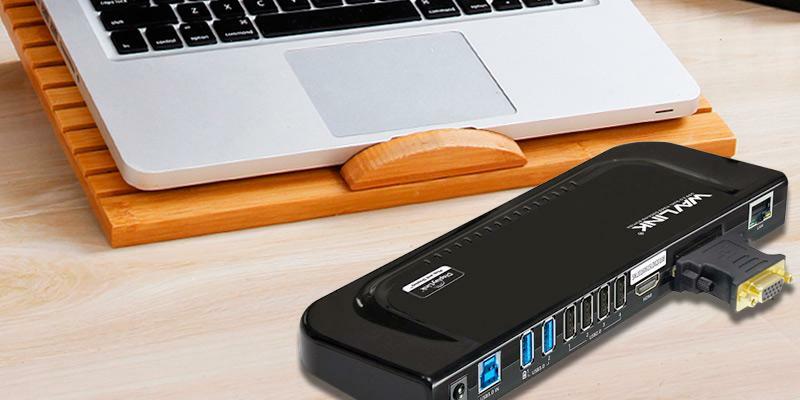 The Targus Super Speed docking station features two high-powered USB 3.0 ports that provide a rapid data transfer from external devices as well as can charge digital gadgets. 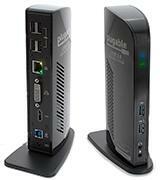 Moreover, the dock includes a Gigabit Ethernet port that allows for fast connection to wired networks and data exchange between users. The DisplayLink technology support and two video outputs for connecting 2 external monitors are some other useful features worth mentioning too. What is more, the maximum resolution this laptop docking station can support reaches 2048x1152p, which is quite a lot. Basically, not many docking stations are compatible with multiple operating systems. 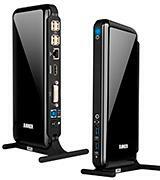 However, the same cannot be said about the Targus ACP70EU docking station. The dock supports all Windows versions (Windows 7 and higher), MAC OS (10.8, 10.9, and 10.10), and Android (5 and higher). A lot of users find the ability to connect it to Android platform very beneficial considering that Android-based tablets and smartphones become more and popular each day. 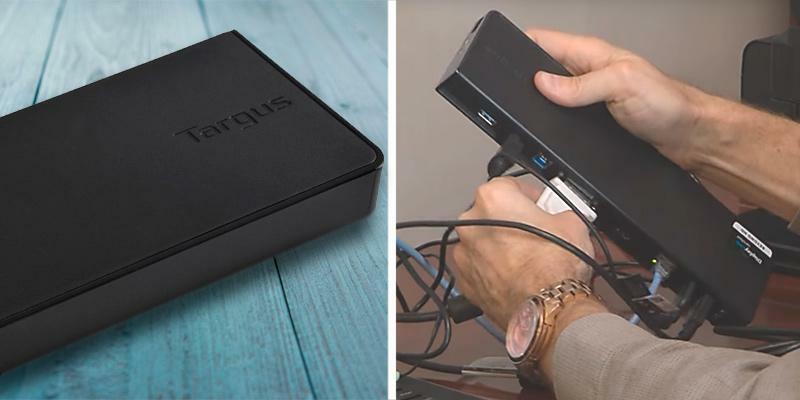 With that said, we can easily recommend the Targus ACP70EU docking station to all customers who need a universal docking station that could be connected to multiple devices. On top of versatility of use, it also performs a cooling function, which is surely a great advantage. If you'd like to have your laptop working properly, couple it with a cooling pad. With this laptop docking station, you will be able to display the image on two external monitors with HDMI and DVI ports located at its back. 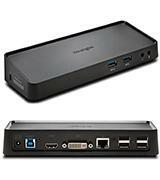 The front panel features two high-speed USB 3.0 ports, one of which also provides the option for charging your devices. You can use ports to connect your mobile devices or external drives. 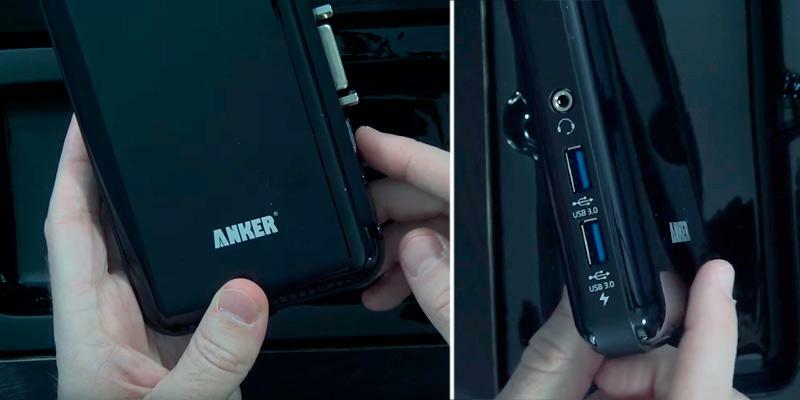 Furthermore, the Anker Dual Display also has four USB 2.0 ports, also placed at the back. Those can be used to add a mouse, a keyboard, a printer, or any other devices you wish. Make your desk the most comfortable. 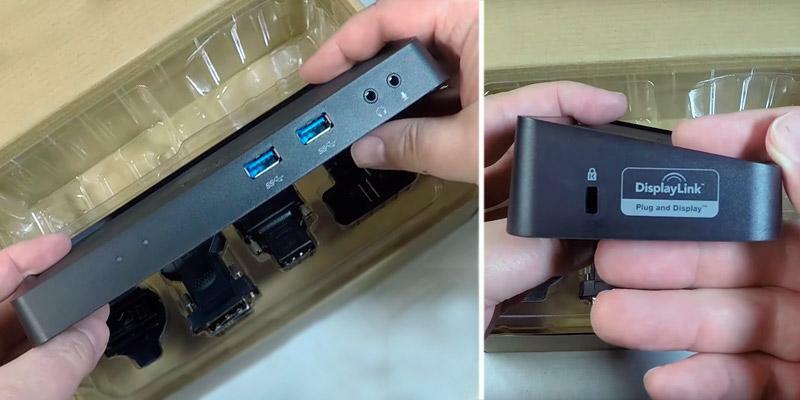 To connect Anker Dual Display Universal Docking Station to your laptop, please use the USB 3.0 Type B port. The spatial cable comes with the purchase. This docking station for laptop easily works with laptops based on Windows OS starting from XP, which is pretty rare for docking stations now. Although you might need to download some drivers from the official site additionally. 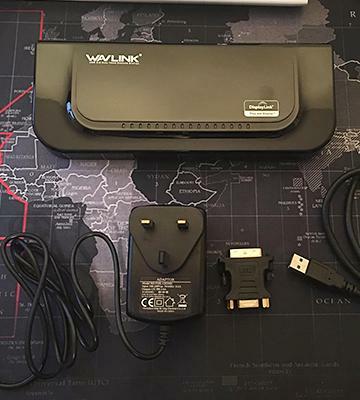 There is an option to connect this universal laptop docking station to a Mac-based laptop, but note that the DisplayLink driver does not work with this system, so the Ethernet, DVI, and HDMI ports will be of no use. But you will still have all the USB ports! One of the special features of this laptop notebook docking station is its option to be set on a stand vertically. 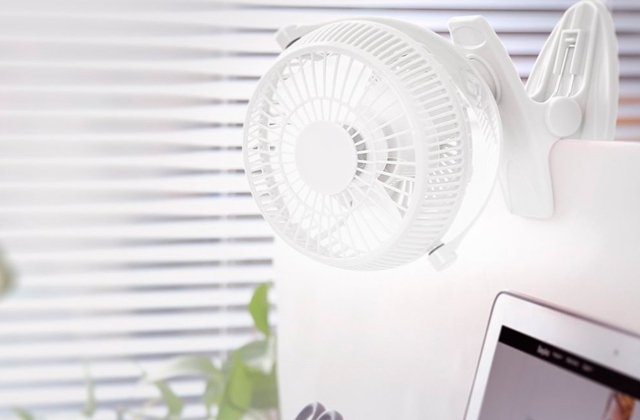 With this possibility, you will save some desk space if you wish to. The number of monitors you can connect simultaneously is two, which makes it three working monitors overall (with the one that is your laptop's). Internet surfing, working with documents, and gaming was never this simple. A distinct advantage of laptops over desktop computers is portability. Laptops can be taken away and used on the go. The only problem you can face when using a laptop is lack of additional ports. Yet, if you get the Wavlink docking station, this won't be an issue anymore. 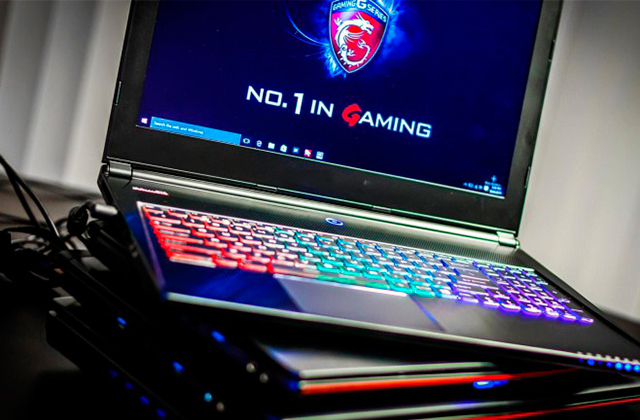 Considering the number of ports, it's possible to connect up to 6 additional devices and 2 external monitors for gaming or comfortable work. Two USB 3.0 ports have the maximum transmission speed of 5 Gbit/s that is good for transferring data from and to external storage devices. The USB indicator contributes to usability of the station telling you when it's powered on. All external connectors are located on the rear of the unit, except for the two audio outputs which are placed on the front. The ability to charge your mobile devices is one more distinctive feature of this docking station. Those who use tablets, smartphones or other quickly discharging mobile devices for professional purposes, will definitely appreciate this docking station. A USB 3.0 port provides current supply up to 1.5A that is more than enough to fully charge your smartphone battery. No need to carry a lot of chargers and look for an outlet to charge your devices. Thus, you are always in touch with your colleagues, business partners, clients, family, and friends. 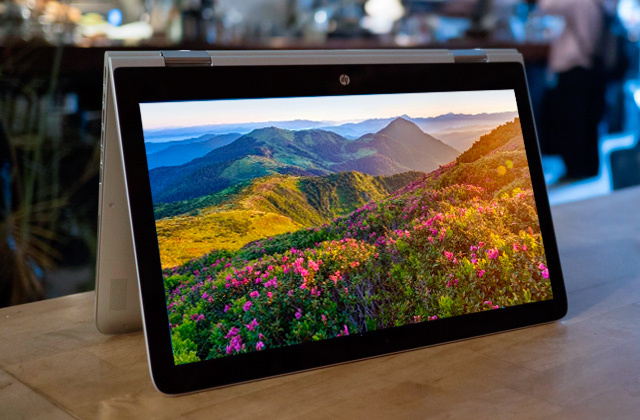 In this regard, this model offers an excellent way to expand your laptop capabilities at a low price. Indeed, this docking station fits its purpose perfectly, being suitable for personal use and professional purposes. We advise picking a Wi-Fi router to arrange a wireless LAN at your workplace. More and more people nowadays switch from desktop computer to laptops. 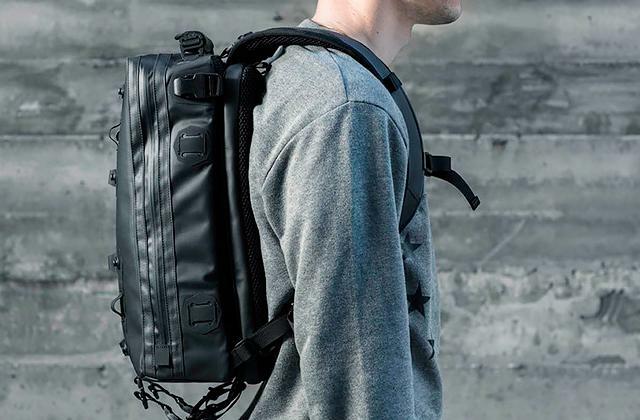 A laptop is much more mobile and easier to carry from place to place. 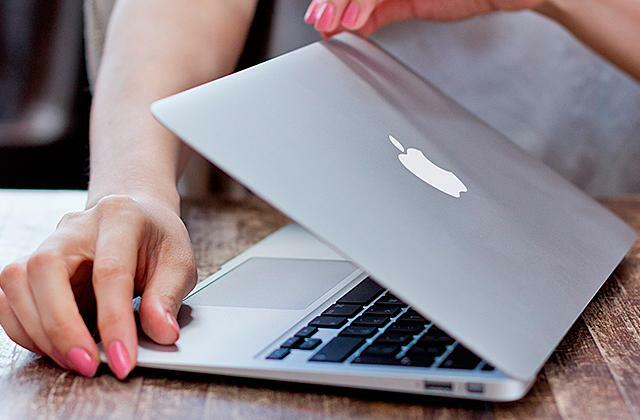 The smaller your laptop is the easier it is for you to bring it around. 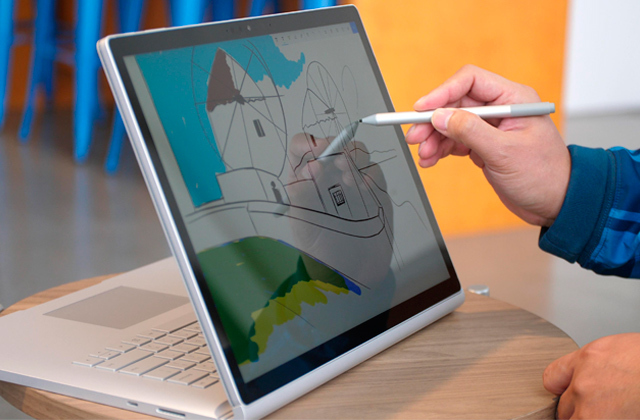 At the same time, using a laptop may pose some challenges if it's rather small in size. 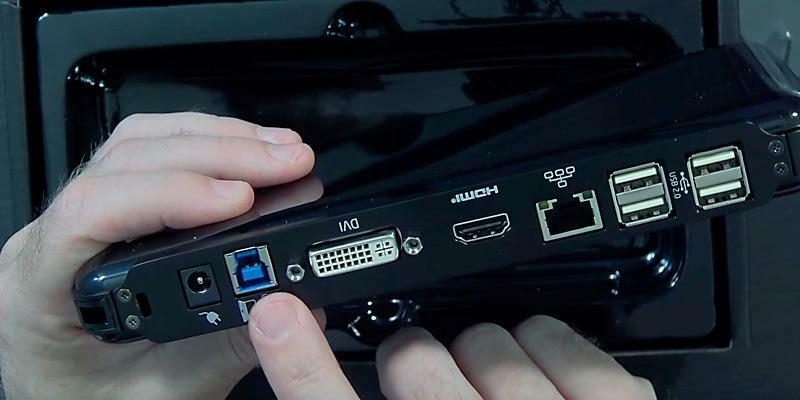 To solve a problem of small keyboards and displays a lot of users today connect external devices to their laptops, but if there are very few ports in your laptop, you need to look for a different way out. 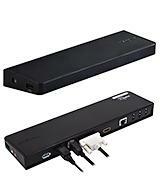 If you don't plan to upgrade your laptop for now, you can get away with a laptop docking station, a small but useful device that can extend laptop's performance capabilities by times. 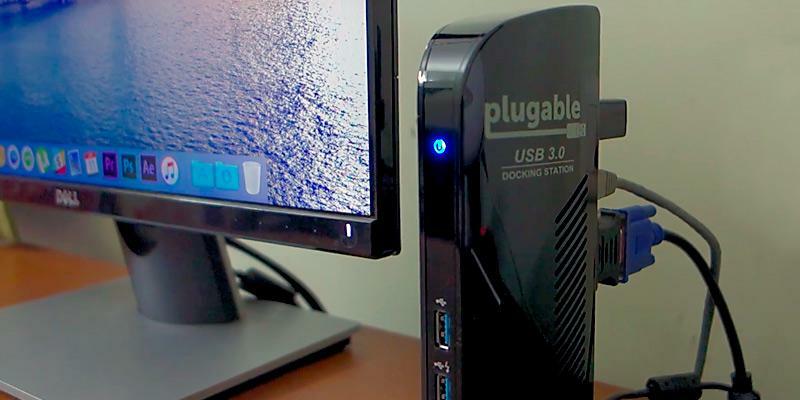 If all you need to do is to expand USB connectivity options, you may be interested in our review on USB hubs, as well as USB wireless adapters for connecting to the web. 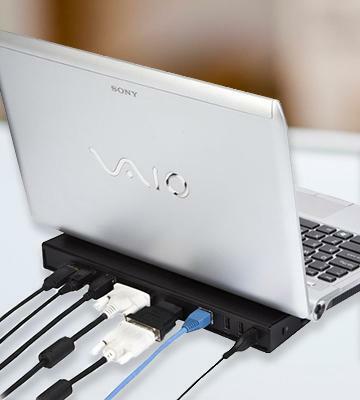 When you select a laptop notebook docking station, the first thing to think about is what devices you are going to connect to your laptop. Then, depending on your needs, look through available Ports on the laptop docking station. And we mean both the number of ports and their intended use. The ports may differ. There are ports for external storage devices, like USB 2.0 and USB 3.0, and ports for external data displaying devices (monitors and TV-sets): HDMI, VGA, DVI, Display Ports. Also, almost all modern notebook docking stations feature Ethernet ports to connect to the high-speed cable Internet. The laptop docking station may additionally feature an output for a microphone and speakers. 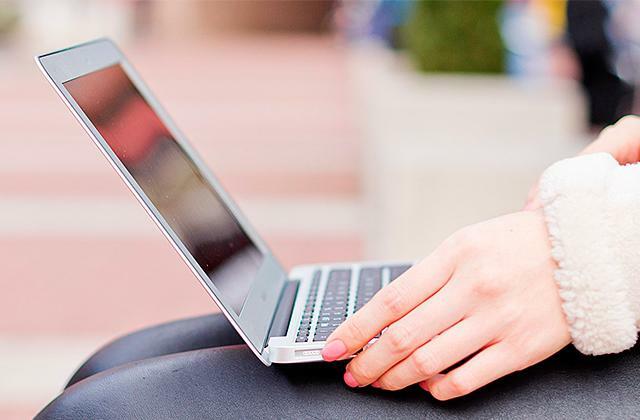 The second step you should take is to understand how you will connect the notebook docking station to your laptop. So, pay attention to the device's Connectivity. Some laptop docking stations can be connected via a USB port, and some require a special port. 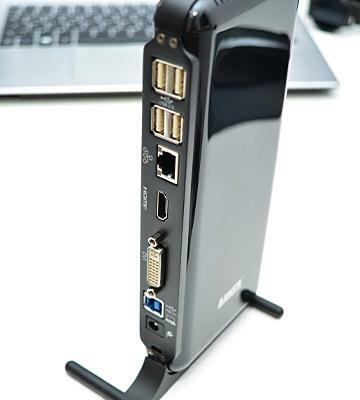 The laptop docking stations with a USB connectivity interface are suited for all users, no matter what kind of laptops they use — the docking station will connect just fine. And docking stations with a special port will work only with a few models produced by specific manufacturers. 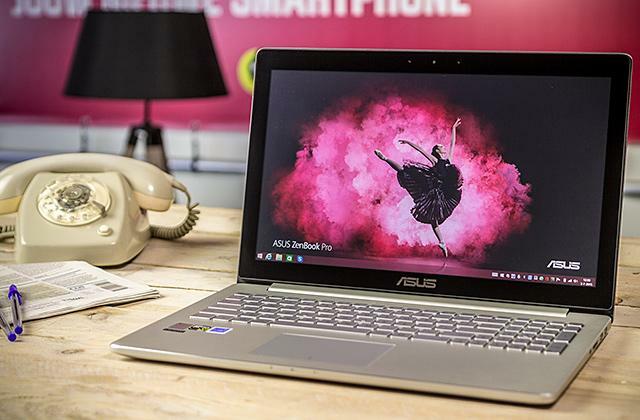 One more feature that might affect the connection between the notebook docking station and a laptop is the supported operating system. Note that not every docking station will work with a Linux OS or Windows RT. At the end, we would like to recommend you to assess the Additional Features of your docking station for a laptop. Additionally to the main functionality (which is to widen the connectivity options), the docking station for laptops may have other features. For example, it may be the option of charging your laptop. Or an embedded card reader. USB ports can have the charging option even when the docking station is turned off. The list may go on. 1. Lincoln Spector The easy answer to the laptop vs. desktop question: Use a docking station, PCWorld. March 12, 2015. 2. Docking Station Buying Guide, eBay. March 3, 2016. 3. How to Choose the Perfect Dock for Your Device, StarTech.com. February 18, 2016. 4. Tyler Lacoma Rock out with your dock out with this guide to laptop docks, DIGITAL TRENDS. November 7, 2015. 5. How to Choose the Best USB Charging Station for All Your Gadgets, How-To Geek.